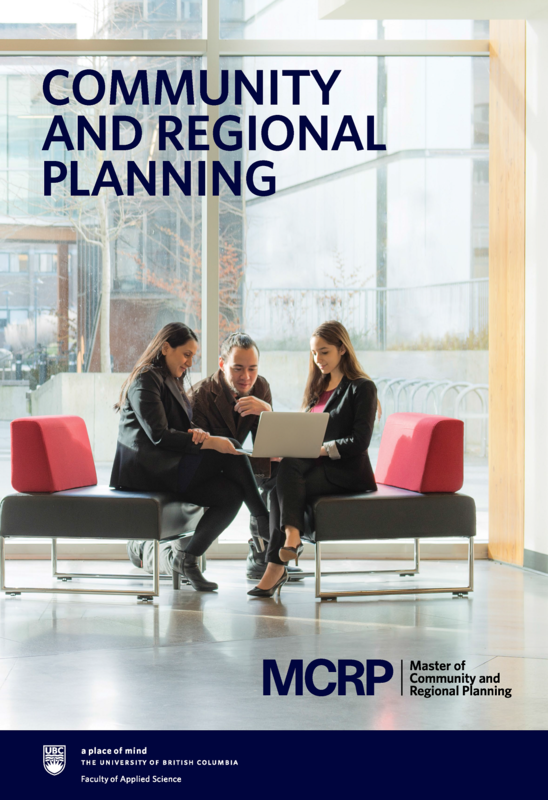 The MCRP is a 24-month professional master's degree in Planning. 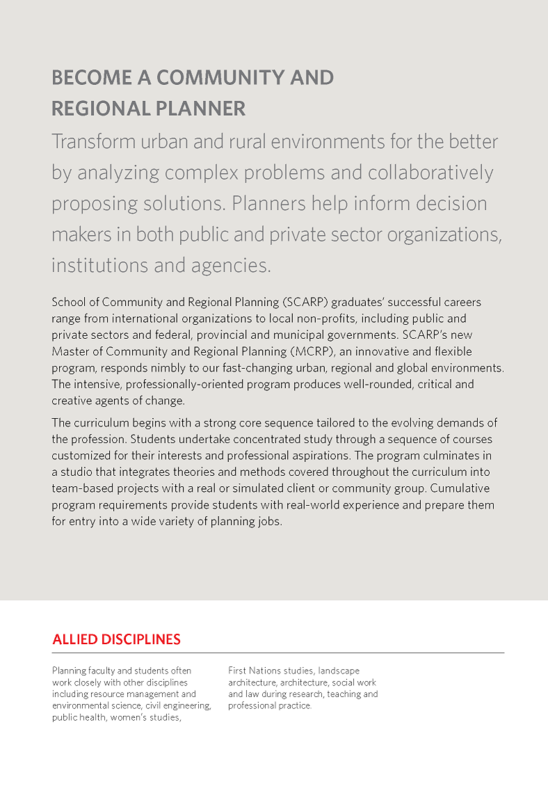 It is an innovative and flexible program that anticipates and responds to rapidly changing urban, regional, and global environments. The MCRP curriculum begins with a strong core sequence of 18 credits that is tailored to the evolving demands of the profession. Students will additionally undertake a sequence of courses in an area of concentration customized for their interests and professional aspirations. 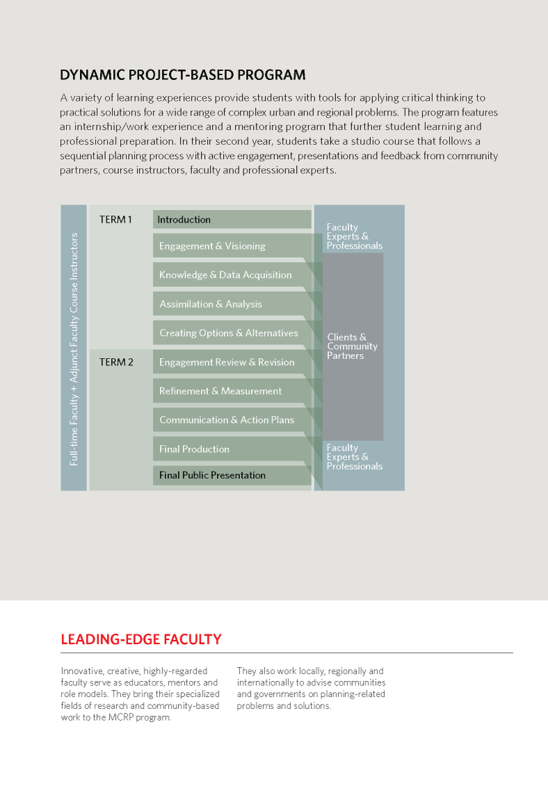 In their second year, students will be required to take a studio course that integrates theories and methods covered throughout the curriculum into a single team-based project with a real or simulated client or community group. 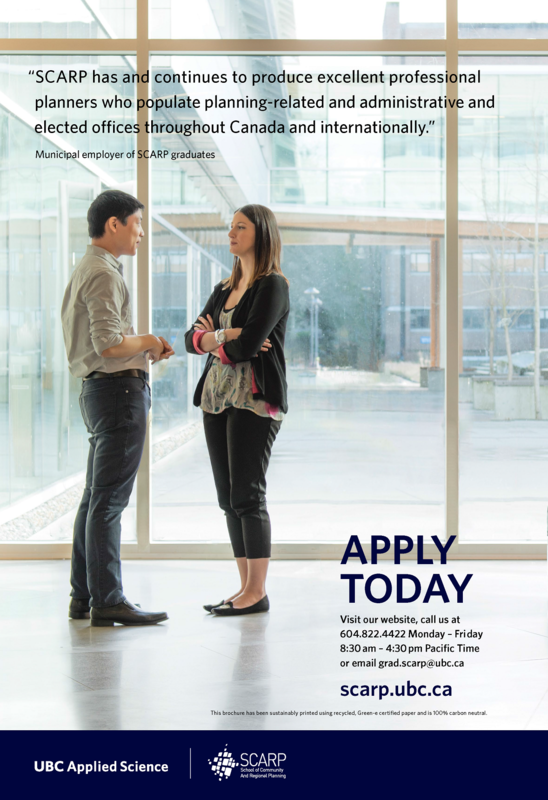 The program's Capstone requirement provides students with the opportunity to demonstrate their competency through developing a professional portfolio or professional research report. Cumulative program requirements provide students with real world experience and prepare them for entry into a wide variety of planning jobs. The program also features an internship/work experience, and a mentoring program. 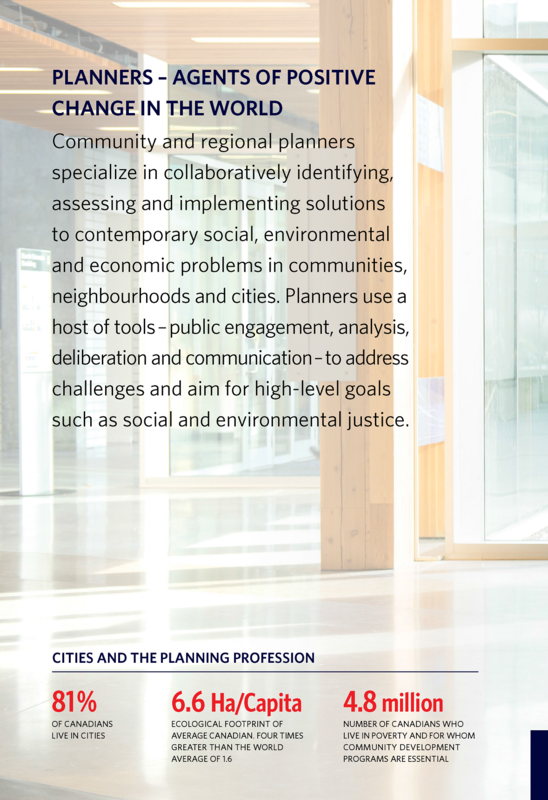 Students can choose from the Indigenous Community Planning (ICP) or Urban Design (UD) concentrations, or they can develop a customized concentration to suit their interests with guidance from their faculty advisor. A few examples of current student concentrations include: public engagement and participatory planning; social and community planning; urban development planning; resiliency planning; transportation and urban design; transportation and sustainability; and urban infrastructure and environmental sustainability. 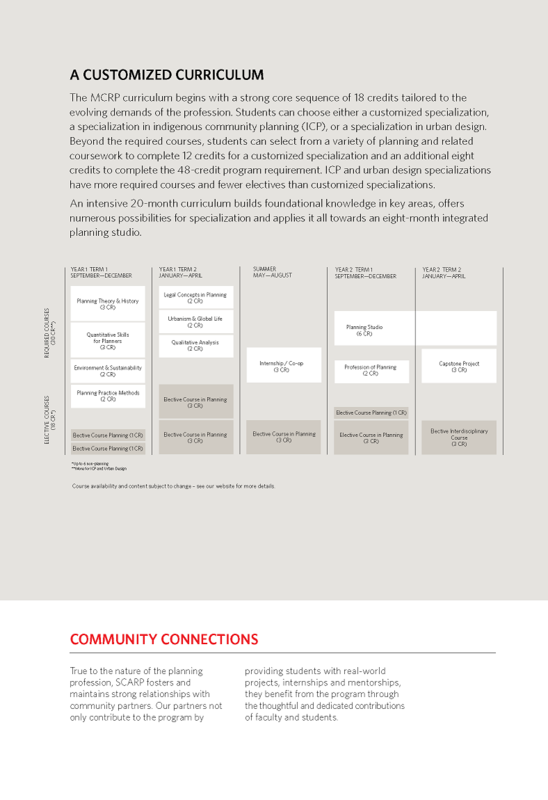 The ICP and UD concentrations have specific course sequence and credit requirements. Students wishing to complete the ICP or UD concentrations should indicate their interest in the concentration in their application.